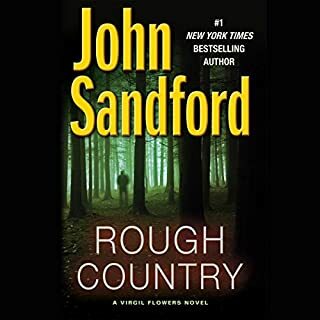 I have always liked John Sandford's style of writing. I have read, and re-read, every book in the "Prey" series. Virgil Flowers character is excellent. I love his easy-going style. It's not often you find a state cop that drives a truck and pulls a boat wherever he goes! His writing style makes you feel like you are there in person. I grew up in central and northern MN and know this area very well. Now some 25 years later and living in the south, it makes me feel like I am back home when I read/listen to these books. The quality of the audio and narration is excellent.